Robert Kiyosaki Rich Dad Poor Dad Quotes: Robert T Kiyosaki Rich Dad Poor dad (What the rich teach their kids that Poor and middle class do not! ): It is the #1 personal finance book of all the time. Here Robert Kiyosaki shares the ultimate tips of his two dads. One is his real father (he calls Poor dad) and his best friend’s father (he calls Rich dad). Robert T Kiyosaki is an American businessman and author of many popular books. He founded the Rich Dad Company, which is a financial education company. His company provides personal finance and business education to the people. Kiyosaki is the author of 26 books. His books are translated into 51 languages and sold over 27 million copies worldwide. This book will teach you to see the world of money from different perspectives. It has been 20 years since this book made #1 Personal financial of all time. This book has translated into dozens of languages and sold around the world. This Book got more than the 4.5-star rating on Amazon. Also, Rich dad poor dad got 6000+ customer reviews. In this article, you will find the Basic details of #1 personal finance book. 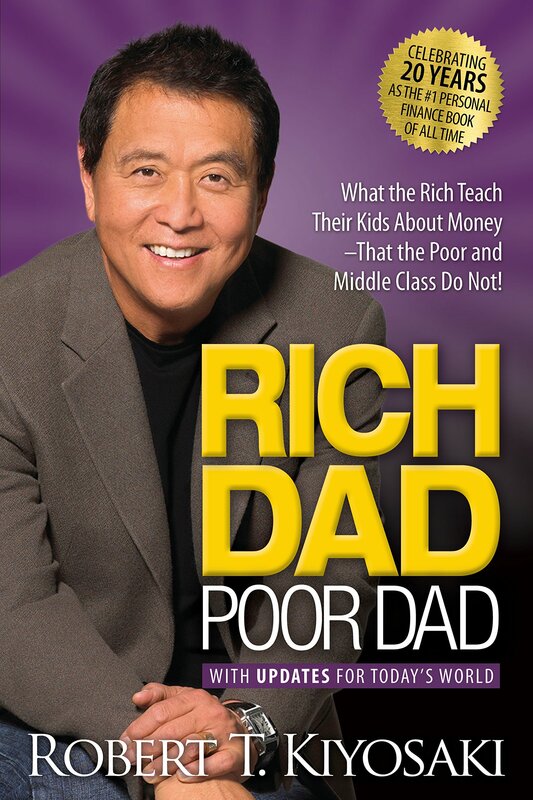 The book is known as Rich Dad Poor Dad written by Robert T Kiyosaki. According to him if you want to become rich and financial freedom, then you need a different education. Grab this book online and have a financial literacy. You can share this article on top social media sites and help others. Sharing the knowledge is also one type of service. This is according to my opinion. you can give your comments using comment-form below.